A notebook or project planner If you are already using a planner then you can easily incorporate a monthly stories list and daily highlights list. If you don't have a planner a notebook would work great as well. 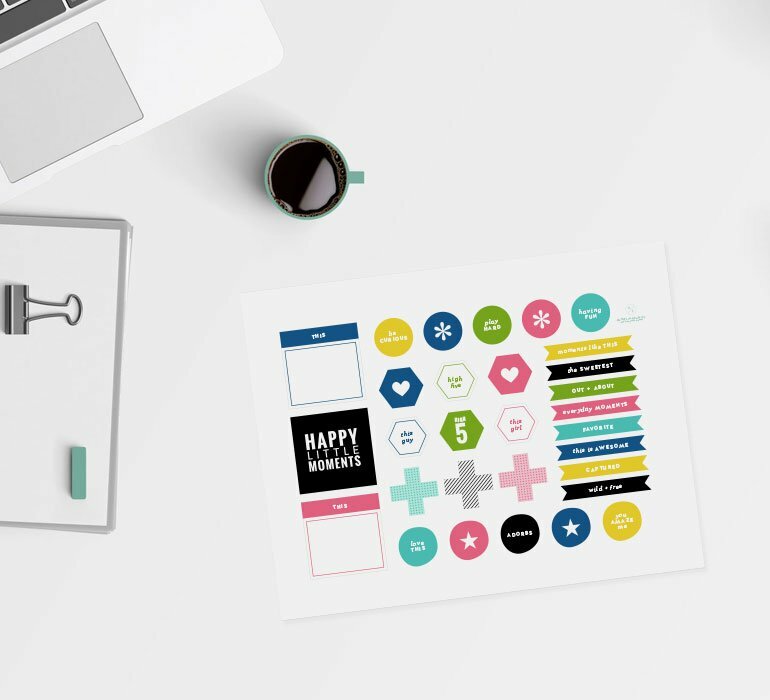 A scrapbooking tool kit If you want to begin making layouts you will need a few basic tools such as: adhesive, an archival pen, a paper trimmer, a date stamp and a pair of detail scissors. A scrapbooking supply kit These are the things used to decorate a page. A simple place to start is with a kit subscription, but if you would rather collect your own items I suggest starting with alphabet stamps, black dye stamping ink, stickers, washi tape, diecuts and patterned paper.